Zip-Top Organizing Utility Tote...What will use yours for? My mom, Jeanette Ansell, is a Thirty-One representative. She's decided to be a good cookie and donate $15 from every zip-top organizing utility tote purchased. There are soooo many ways to use this bag! What will you use yours for? Mine will be for organizing my daughter's homeschool curriculum! It's also great for a diaper bag, in car organizer, nursing bag, school bag, first aid kit, and just about anything else you can think of! I'm sooo excited that there has been such an outreach to help! 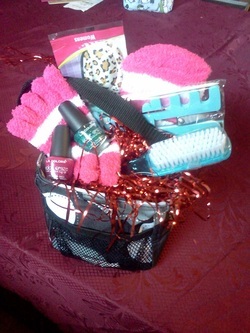 First order wins this Littles Carry All Mani Pedi kit! We have three in our house. Two hold our hair products and accessories, and one that my daughter uses as her doctor bag! Excited to shop for a cause!!! 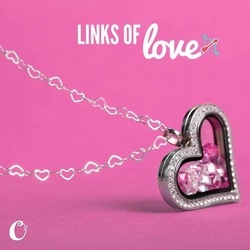 One of the ways to benefit my efforts to raise funds for Cookies for Kids' Cancer is by making purchases through a few direct sales companies. I have multiple parties open and great products to share. Lisa Herrera is my Origami Owl Representative. She is donating her commission which ends up being 40% of our party sales! The next online party that was set up was Jamberry Nails. This one is the newest to me. I've heard really good things about them and I am excited to try them out...seeing as I hate that the day I paint my nails it already chips and I'm too lazy to repaint them so the chipped nail polish stays on for weeks!!! They are like nail stickers and shrink wrap combined...at least that's what I can think to compare them to right now. There are so many different designs that you can probably find one to fit any and every occasion! The amount of money that goes towards Cookies for Kid's Cancer is dependent on the sales of the party, so hopefully it's a big party and lots of money is raised! Robbin Stevenson is my rep for this company. She is super sweet and will help you with absolutely anything you need to know! Soon there will also be parties set up for Thirty-One and Herbalife. If there are is an overwhelming request for another company I'll see what I can do to add it. And please remember to share this event with your friends and family. The more attention and sales generated by this the more funds that we will be able to pass on to benefit pediatric cancer research!